Organic dairy products are considered a “gateway” to organic foods. Consumers often choose them out of concern about pesticides, hormones and additives, and then fall in love with the pure, sweet taste of organic cream, butter and milk. Organic dairy cattle are raised with a minimum of 120 days of access to pasture each year, and healthier overall living conditions eliminate the need for artificial maintenance of health through hormones and routine antibiotics. This translates into high quality, nutritious products that are absolutely delicious. California’s droughts, exacerbated by climate change, are threatening once-lush pastures critical to raising organic dairy cattle. With market forces diverting land and water to higher-value crops, it’s increasingly difficult for farmers to satisfy demand for organic milk. Organic cream and butter are at even greater risk for shortages because they are made from only a portion of the milk, requiring producers to find a market for less sought after organic whey. Without rain, pastures go dormant and can no longer supply enough caloric value to support grazing animals. In addition, if farmers continue to graze their animals during extreme drought, pastures can be irrevocably damaged, leading to soil erosion and other ecological problems. As water reservoirs recede, many landowners have turned to drilling costly wells to tap into underground aquifers. To recoup this investment, pastureland is converted to more profitable crops or orchards. This minimizes additional available land that organic farmers would otherwise be able to lease for grazing their cows. Farmers who supplement their cattle’s pasture-based diet must feed them Certified Organic grain and hay. Due to the same issues reducing land access, many farmers are foregoing feed crops altogether in favor of high-value orchards and vineyards. This is creating a critical shortage of organic feed. Extreme heat causes animals to eat less and drink more water instead, a condition known as “heat stress.” Dairy cows are especially prone to heat stress, and over time this leads to reduced milk production. USDA estimates that over the next fifteen years, heat stress due to climate change will decrease the nationwide milk supply (both conventional and organic) by one percent, resulting in millions of dollars in higher milk prices. When compared with other types of farming, organic dairy is relatively water efficient because its foundation is drought-tolerant grass, not resource-dependent grain. Additionally, continuing research is showing that organic methods, such as composting and managed grazing help slow climate change by storing excess carbon in the soil, keeping it out of the atmosphere where it acts as a greenhouse gas. 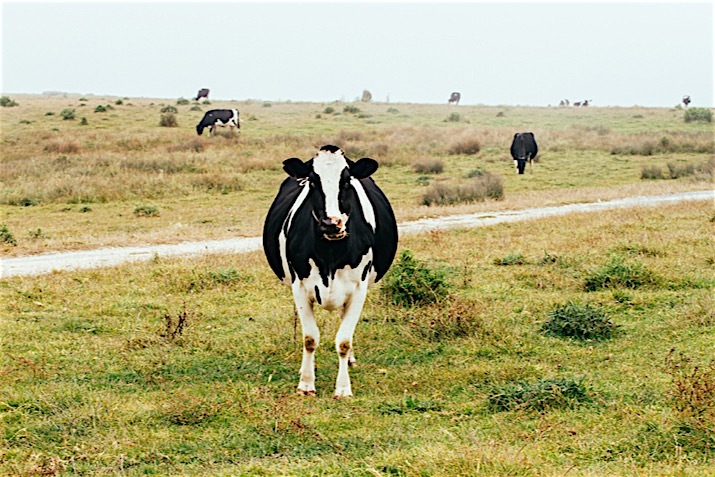 Although organic farmers work in concert with ecological systems and appear to be better positioned to address increasingly severe weather, the future for organic dairy farmers in California is troubling. Given the changing landscape of agriculture in California and across the United States, organic dairy farmers need our support now more than ever. How can we help? Choose organic dairy, keeping demand for organic dairy products high and making continued investments worthwhile to organic farmers. Consider a donation to support organizations such as the California Certified Organic Farmers (CCOF) Foundation, which since 2007 has distributed nearly $100,000 to California organic farmers in need of hardship assistance, including those affected by drought. National Co+op Grocers (NCG, the organization behind this website) is a proud contributor to CCOF Foundation’s Bricmont Fund for Hardship Assistance Grants. Ask your elected officials to support climate change legislation and programs, particularly those that incentivize farmers to practice methods that help slow climate change and help them to adapt to its effects.